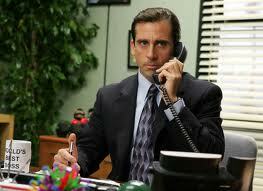 Brock CareerZone Blog: No Fear Phone Interviews! In an age where the job market isn't the greatest and opportunities to travel for work are vast, more often than ever employers are interviewing candidates via other means than face to face interaction! In this blog I will provide you some tips on how to survive the PHONE INTERVIEW! 1. Use a landline. No matter how much planning you do to ensure you're in a good service zone, you can't control dropped calls. The last thing you want is to hang up on the interviewer - they may not call you back! 2. Write EVERYTHING down! This goes for what you're going to say to the employer, and for what the employer says to you! While it's bad interview eitiquette to bring a list of your skills and experience with you to the interview after you've prepared it, one of the benefits to interviewing over the phone is that the employer can't see that! So take advantage - while preparing your answers for common interview questions, write it all down and keep it in front of you, right beside a list of your skills, strengths, weaknesses and a copy of your resume for reference! And as I said, make good notes about information the employer gives you over the phone. Keep pens and paper handy! 4. Be as professional as you would irl (in real life... n00b). So I know we've been touching on the benefits to being physically invisible to the interviewer, but just remember that body language translates into verbal language often! Sit up straight, smile, get dressed up! Whatever it is you have to do to project that professional image! Finally check out Interview Stream, a neat resource that films you engaging in a mock interview! Great for practice for any sort of interview, but especially for things like the phone or skype! You can also send your video in to our office for feedback! Check it out by visiting CareerZone and clicking on Resources. You can also book a mock interview with krenaud@brocku.ca! These are just a few tips but if you wanted some further information or further help on interview prep feel free to drop by to see us at the Career Resource Centre just inside the Learning Commons from 9-4:30pm Monday - Friday! Hey You! Be My Reference?! 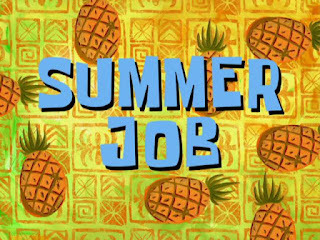 Summer Job Search in Your PJs!